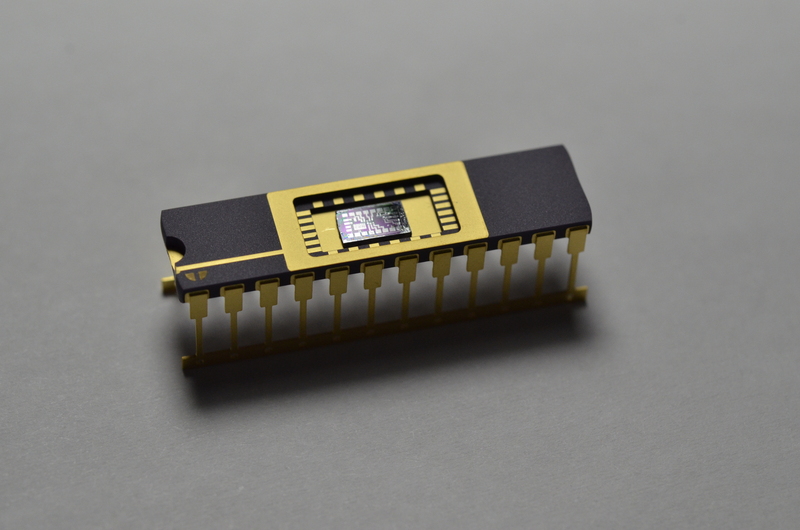 ‘First IC’ by Sam Zeloof – ‘the “Z1” PMOS dual differential amplifier’ Homemade Integrated Circuit « Adafruit Industries – Makers, hackers, artists, designers and engineers! I am very excited to announce the details of my first integrated circuit and share the journey that this project has taken me on over the past year. 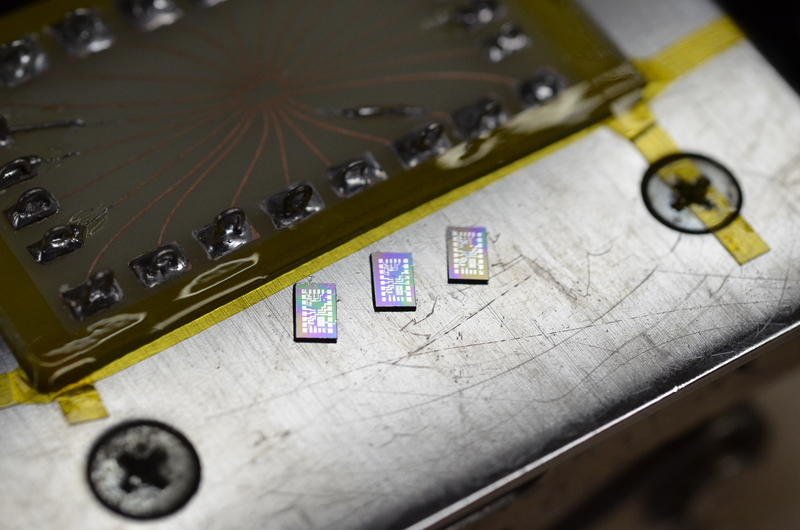 I hope that my success will inspire others and help start a revolution in home chip fabrication. When I set out on this project I had no idea of what I had gotten myself into, but in the end I learned more than I ever thought I would about physics, chemistry, optics, electronics, and so many other fields. Furthermore, my efforts have only been matched with the most positive feedback and support from the world; I owe a sincere thanks to everyone who has helped me, given me advice, and inspired me on this project. Especially my amazing parents, who not only support and encourage me in any way they can but also give me a space to work in and put up with the electricity costs… Thank you! Without further ado, I present the first home(garage)made lithographically-fabricated integrated circuit – the “Z1” PMOS dual differential amplifier chip. I say “lithographically-fabricated” because Jeri Ellsworth made the first transistors and logic gates (meticulously hand wired with conductive epoxy) and showed the world that this is possible. 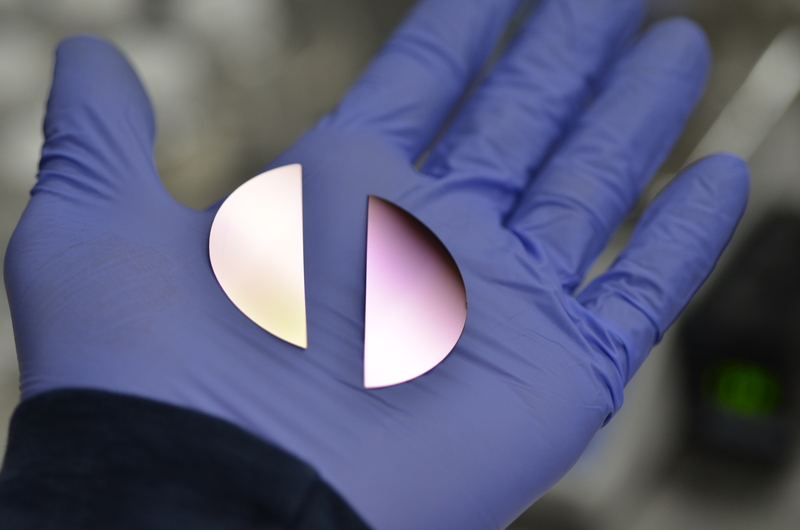 Inspired by her work, I have demonstrated ICs made by a scalable, industry-standard, photolithographic process. Needless to say, this is the logical step-up from my previous replication of Jeri’s FET fabrication work.